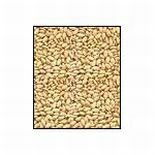 Our Sesame Seeds are reliably used in making an eatable delectable. The sesame seeds provided by us possess the capability to make any food delicious. It is termed as the king of all sesame seeds, available in the market. So do come and refuse to conform conventional notions of taste.